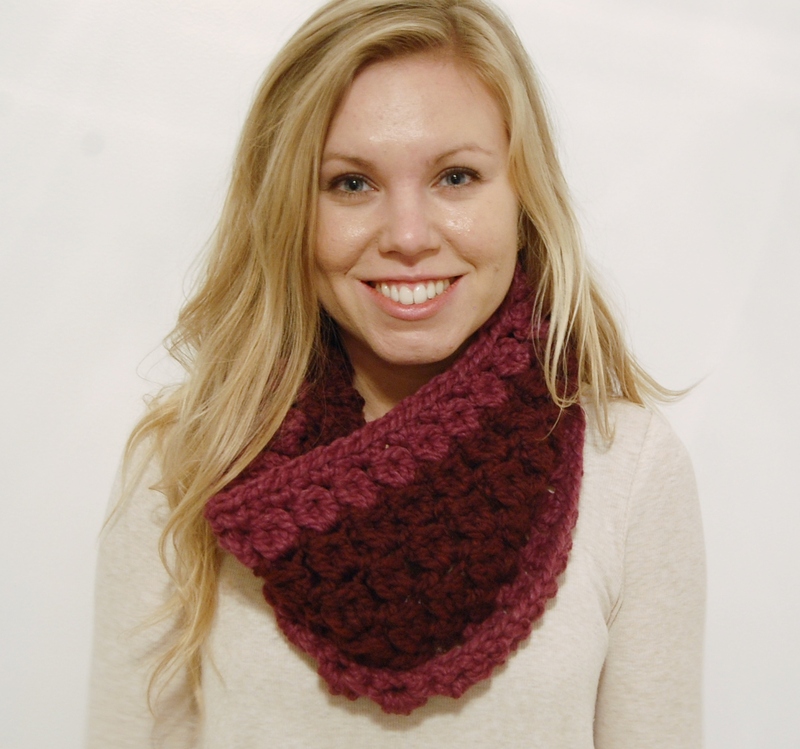 I wanted to write a pattern for the perfect cowl I could toss on for brisk fall mornings. Not something as intense as the chunky knit cowl pattern I use when it’s snowing, just something that would keep out the whippy morning wind. 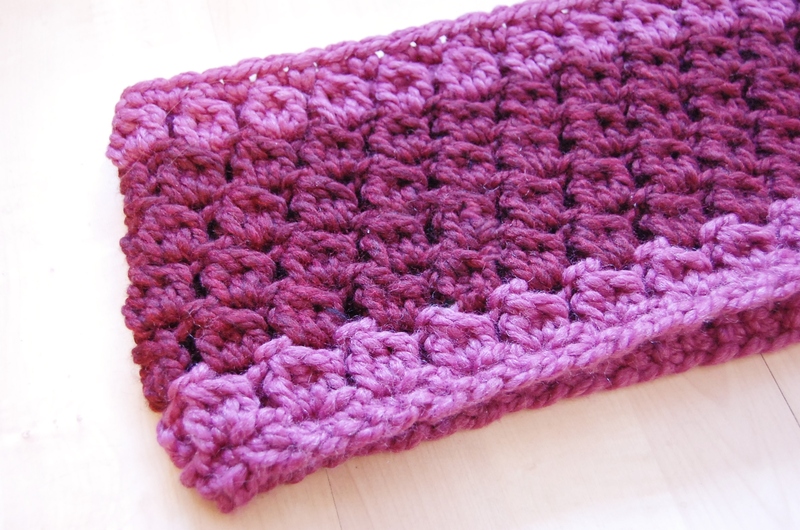 This easy and quick crochet cowl works up in a snap with bulky yarn and a size N crochet hook. It’s pretty easy and the result is a semi-open weave cowl to top off your I-refuse-to-admit-it’s-winter-so-all-I-will-wear-is-a-cardigan look. (It’s ok, we’ve all been there.) It’s functional without being over the top. 3-DC Cluster: Also known as DC3tog. *YO, insert hook into stitch. YO, pull up a loop. YO, pull through 2 loops. Two loops on hook. 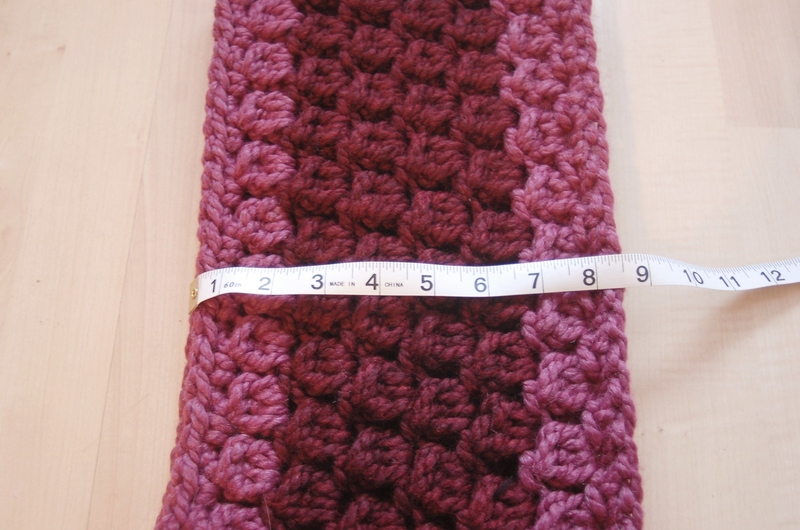 * Repeat from * to * twice more until there are four loops on hook. YO, pull through all loops on hook. Chain 49. 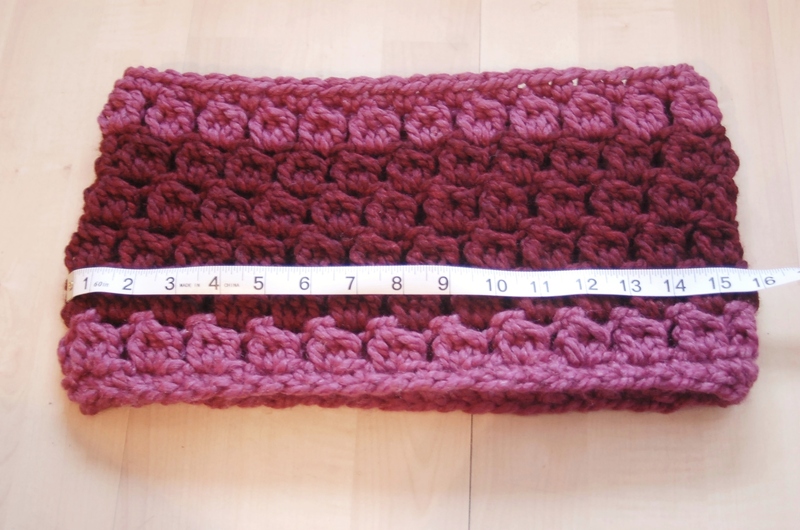 Join with slip stitch to form ring. 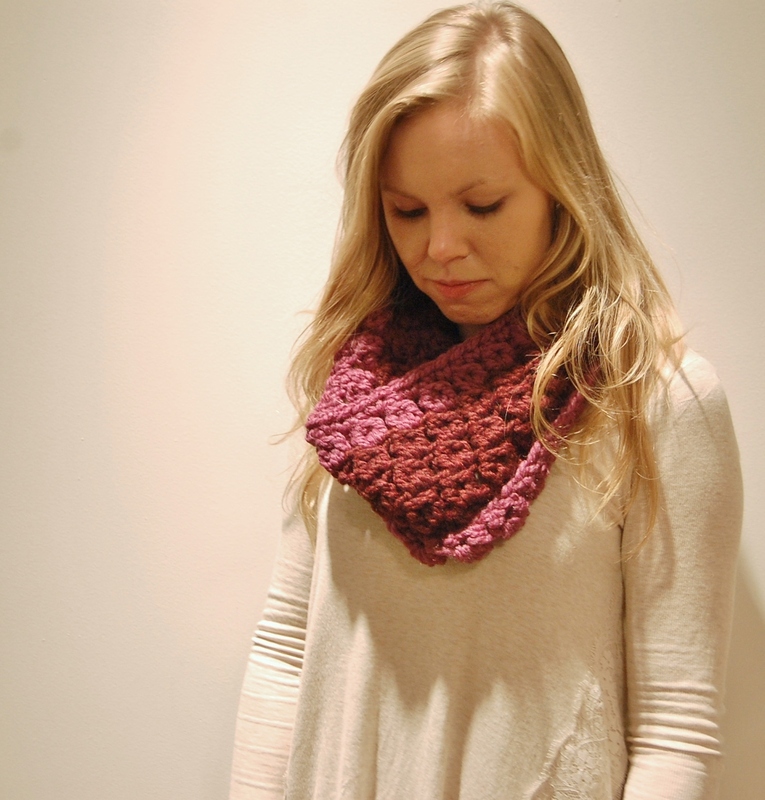 Cowl is worked in the round. 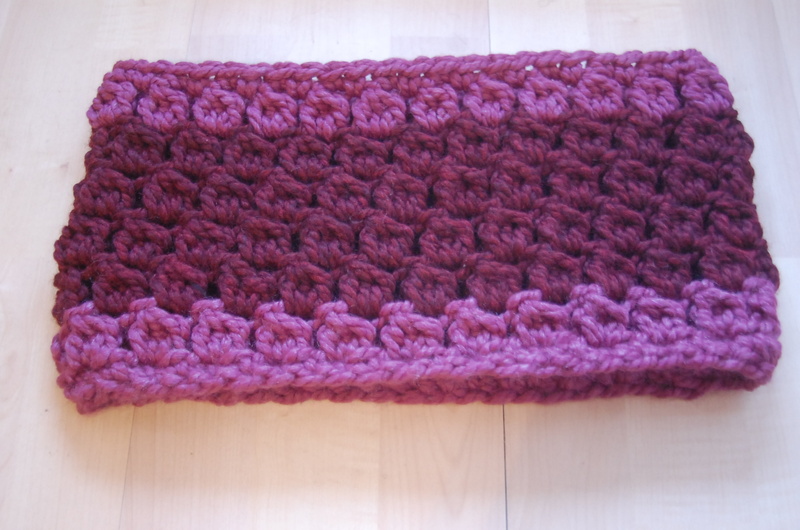 Love this cowl. Thank you for sharing the pattern. I’m finishing one right now, but had to fudge things a bit to get the 24 clusters. I kept counting 49 stitches and ending up with 25 clusters. Any idea what I’m doing wrong?